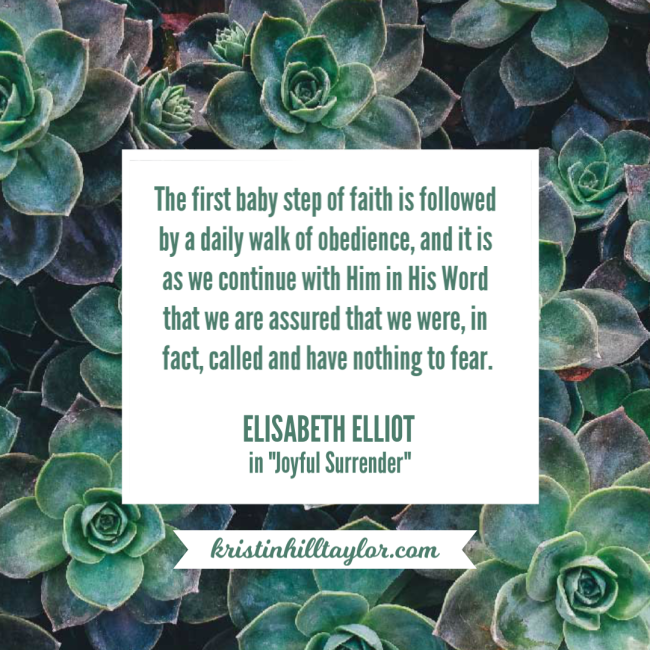 When I saw this book’s title and author, I knew I needed to read it: “Joyful Surrender” by Elisabeth Elliot. I’ve been in a season of learning to live (more) faithfully. For me, that’s looked like letting go, trusting God to be in the details, noticing needs and meeting them, serving those around me, and recognizing the value of where God has me right now. Obviously, it’s been a process of surrender to the control I naturally I want. It’s a lesson I have to work on over and over again because all my ESFJ, Enneagram 1w2 ways are quick to kick in. Then I noticed the subtitle of the book: 7 Disciplines for the Believer’s Life. I’m glad this book caught my eye because it’s a breath of fresh air in this do-it-all, be-all-you-can-be culture. It’s like sitting down with a kind, wise friend who is willing to tell you where she’s been and what she learned along the way. Elliot writes about discipline, freedom, obedience, and sovereignty in conversational tones that draw the reader in and point to Jesus. Living faithfully has shown me the glory in joyfully surrendering. But I have a lot to learn and I’m grateful for this guide – the author, her words, and our Creator – to teach me. In our age of instant gratification and if-it-feels-good-do-it attitudes, self-discipline is hardly a popular notion. Yet it may be one of the most important lost virtues of our time. In “Joyful Surrender,” former missionary and beloved author Elisabeth Elliot offers her understanding of discipline and its value for people of all times. 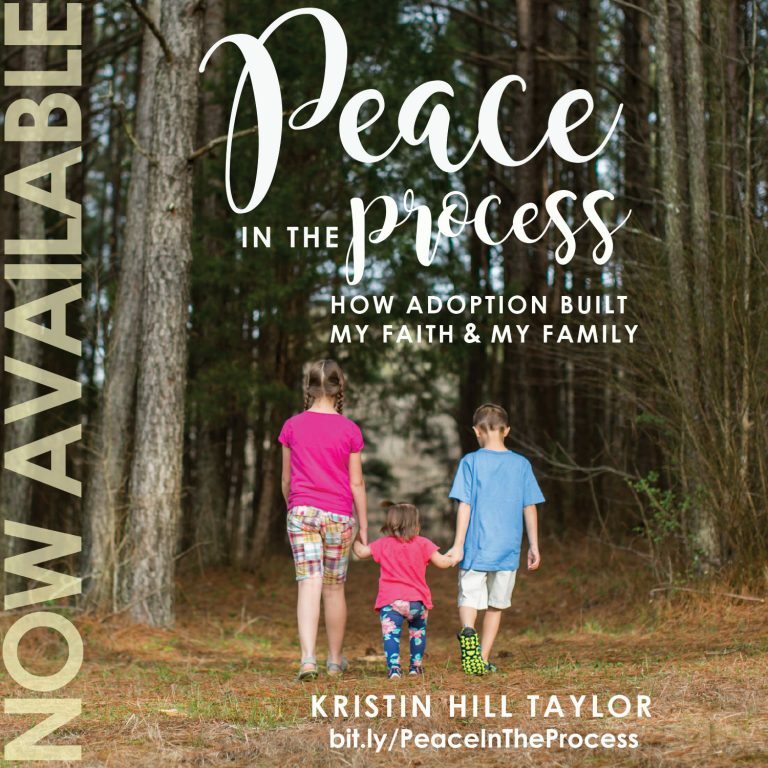 She shows readers how to discipline the mind, body, possessions, time, and feelings; overcome anxiety; change poor habits and attitudes; trust God in times of trial and hardship; and let Christ have control in all areas of life. 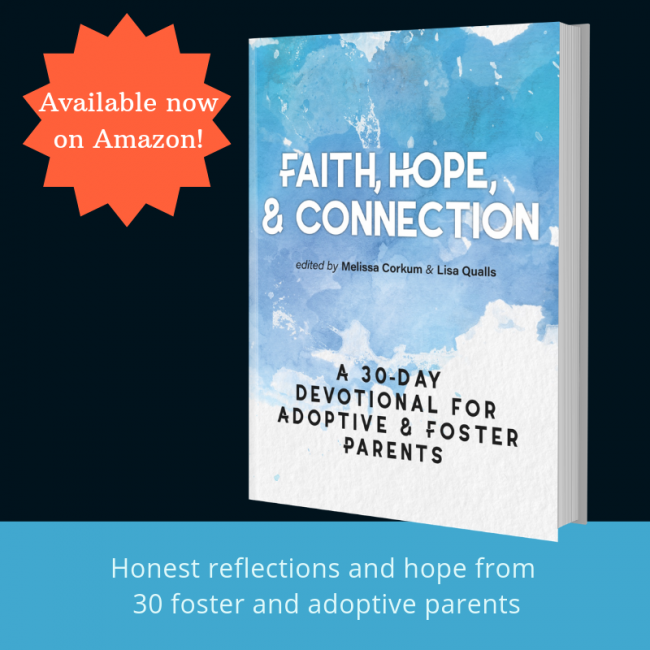 Elliot masterfully and gently takes readers through Scripture, personal stories, and observations of the world around her to help them discover the understanding that our fulfillment as human beings depends on our answer to God’s call to obedience. 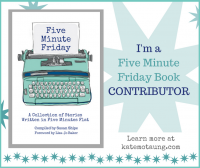 There are 14 chapters, which read like encouragement written from a friend. How Do We Know We Are Called? This book was originally published in 1982 and again in 2006 under the title “Discipline,” but Revell Books recently published this repackaged edition, which is a 176-page paperback book. Elisabeth Elliot (1926-2015) was one of the most perceptive and popular Christian writers of the last century. The author of more than twenty books, Elliot offered guidance and encouragement to millions of readers worldwide. Two decades later, I still hold tightly to that promise. I know God so much better now, thanks to words and people and experiences. But there’s still so much I can learn. I’m slowly working through “If God Is For Us: The Everlasting Truth of Our Great Salvation” by Trilla Newbell. It’s a six-week study of Romans 8. I keep underlining Trillia Newbell’s words that point me to truths about God’s faithfulness and the freedom he gives. 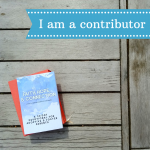 She writes with encouragement and confidence, knowing God truly is for us. I really like the mixture of questions – some focus on studying God’s word and some are personal reflections – and I’m gaining so much context for that promise God showed me when I was a teenager. The margins are jotted with my thoughts as I work through this book and reflect on these past twenty-three years of following God and my recent focus on living faithfully. This fresh and inviting approach to Romans 8 with its attractive layout is divided into six weeks of five days each. Every week begins with an overview of what’s ahead and includes prompts to get the reader engaged with the Word. “Respond” questions are for digging into the text and understanding it better. Each day the “Explore” devotions help apply the text to life, and the daily “Reflect” questions guide the reader into prayer and reflection. The format “If God Is For Us” works well whether done individually or with a group. Newbell shows readers how to find and use various resources to enrich their study: cross-references within the Bible itself, websites, video, and others. The first week is an overview of the first seven chapters of Romans. 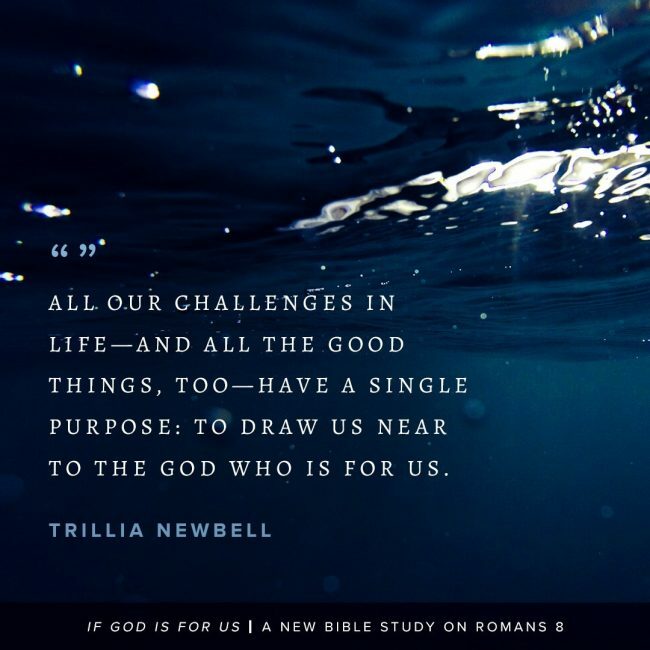 Newbell leads up to Romans 8 by examining some great themes of the faith: the fallen human condition and need for salvation; the doctrine of adoption; the struggle with the old nature; peace with God through Christ, and more. Weeks two through six focus intently on Romans 8. As Newbell goes through the rich teachings of this chapter, the reader not only will become more comfortable with its theology but will appreciate its application to daily life. The keywords called, predestined, conformed, sanctified, justified, glorified are covered, as are major scriptural truths such as the Spirit’s intercession in prayer; our present sufferings compared with future glory; believers being conformed to the image of God’s Son; the promise that God is working all things together for His purposes, which are good. In the final week, five rhetorical questions Paul asks are answered. When this workable and in-depth study is completed, the reader will better know God, His Son, and the timeless, ringing truths of His Word as declared throughout Romans 8: that God indeed is for us and that absolutely nothing can ever separate us from the love of God in Christ Jesus our Lord. Trillia Newbell is the author of “Enjoy: Finding the Freedom to Delight Daily in God’s Good Gifts,” “Fear and Faith: Finding the Peace Your Heart Craves,” and “United: Captured by God’s Vision for Diversity,” as well as the kids’ book “God’s Very Good Idea.” (Learn more about Newbell and her books here.) A writer and speaker, she also is currently the director of community outreach for the Southern Baptist Convention’s Ethics and Religious Liberty Commission. She and her husband Thern reside with their two children near Nashville, Tennessee. One of you gets a copy! Whoo-hoo! Just use the Rafflecopter widget below to enter to win between now and Friday, March 29. Giveaway is open to U.S. residents. I received a free copy of this study and the giveaway opportunity from Side Door Communications in exchange for a review.